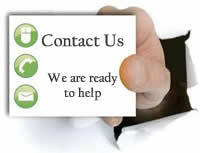 Certified Class ” A” Air Conditioning Contractor and General Contractor cooling the future for South Florida . 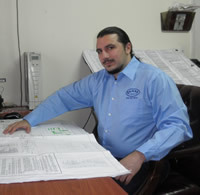 Douglas as a Professional Contractor meets up very often with Architects, Engineers, General Contractors, Managers and Owners to analyze all inquiries for individual assistance and help to facilitate the proper decision including equipment efficiency, Operation costs in any type of projects including :Custom Residential , Healthcare Facilities, Hospitals, Office Buildings, Computer rooms, Laboratories working with the intention to do the best job of Optimal quality and guarantee results . 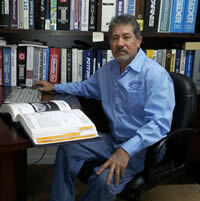 Douglas wants to maintain the Integrity of Gamma Air Systems, Inc as a company that Guarantee’s the quality of work. Gamma Air’s Expectations is that within one service phone call Clients can trust that we will resolve the most typical Air Conditioning problems and clients can rely to call back Gamma Air again for any Air Conditioning service whenever is needed Douglas Founded Gamma Air Systems in 1994 with the vision that his Company would be recognized by the quality and honesty of their work. Eduard is our dynamic Project schedules coordinator for 8 years, during this time he has been introducing new ways to keep our project schedules in the right time frame including but not limited to: city permits, inspections & plans updated. Eduard’s positions in Gamma Air Systems consist of preparing work schedules for project estimates including: Bid due dates, Contact Suppliers, Contractors and Clients to insure that the estimate is based per plan specifications or as per Client requests. From the beginning Eduard began looking for more opportunities to keep Gamma Air growing, he has obtained his goals through his efforts and responsibilities with his friendly attitude more clients have made the decision to choose Gamma Air Systems for all their AC needs. Construction Operation Manager and Field Supervisor for new construction and retrofit projects, Working together with Project Managers and clients, he guarantees that the work will be completed in a professional manner maximizing customer satisfaction. 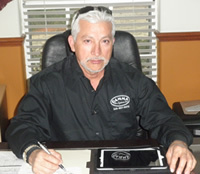 When Jose is called to service for a project or job , he becomes enthusiastic because he knows with his job experience and knowledge of Air Conditioning & problem solving skills that he will not only solve the issues at hand, but leaves the customers feeling satisfied and happy at the end of the day when the work is completed. Jose enjoys his job because this position allows him to interact with his workers and clients, establishing closely good relationships and build rapport. He has been working for Gamma Air for the past 18 years and he considers Gamma Air Systems as a team working together to maintain quality and high standard work. Teresa started working in Gamma Air Systems from the beginning in 1994 and she has grown within our company. She is very familiar with how Gamma Air Systems functions and thinks. 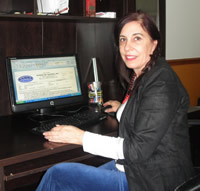 Gamma Air Systems has the great satisfaction to have Teresa in our team, because she is the right professional that everyone wants to have in their company, Teresa have all the abilities and expertise to handle our Accounting and Purchasing Department.